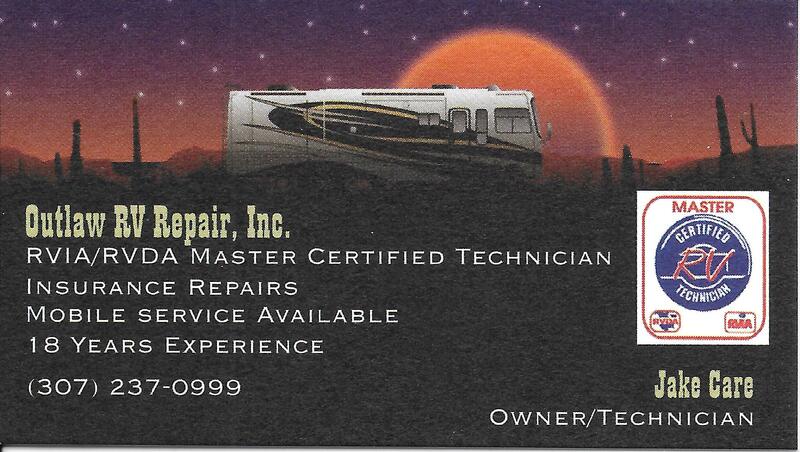 The BEST mobile rv repair service in the entire Casper Wyoming region. Casper MOBILE RV Repair and Maintenance is now serving Casper, Wyoming and its surrounding communities. We provide ON-SITE RV repair, Horse Trailer Repair, General Trailer Repair AND maintenance for all RV, horse trailer, and general trailer issues – including plumbing, electric, gas, and more. 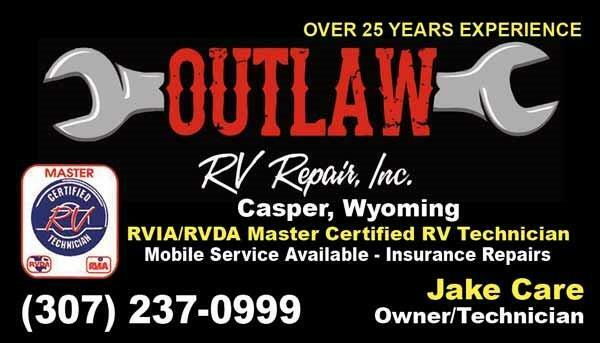 This is great news for all RV’ers living in or near Casper and for visitors to Casper Wyoming – and the surrounding region who have RV Repair and Maintenance needs can receive service from Jake at Outlaw Mobile RV Repair and Maintenance in Casper. We serve residents of Casper, Mills, Evansville, Glen Rock, Midwest Wyoming – and all points in between this beautiful, rural, and RV welcoming region – during ALL seasons (including winter). Are you RV camping at the Fort Caspar Campground? Rivers Edge? The Bar Nunn KOA? Casper East? Or… RV’ing at any of the myriad of private parks, federal lands, private lands and more in the region? Have you ever WISHED someone would come to YOU when your RV needs service, repairs or maintenance? Call us – we respond promptly! Well, now WE DO! Jake’s Outlaw RV Repair and Maintenance serves Casper and much of Central Wyoming with all types of RV work that we all (RV’ers) need from time to time. Remember – when it comes to men you trust to repair or maintain your RV (fifth wheel, travel trailer, motor home, toy hauler), you’ll need someone who can diagnose the issue, has access to the parts and tools required to repair the issue, and has the background, skills and experience to execute the repair – Outlaw RV Repair “fits the bills” for your RV repair needs. As we head into “campin’ season” 2016, there are a few things YOU can do to REDUCE your risk of encountering major repairs down the road – and as the economy is kinda tough (kinda?! ), you may be keeping your “rig” longer than you anticipated. We are preparing a tips sheet for what YOU can do to keep your RV in “tip top shape” – look for the post HERE – Alternately, know that WE can (for a very reasonable fee) perform ALL these actions FOR you while you’re out “earnin’ your keep” and working to keep your job! 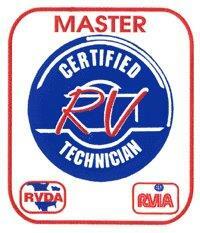 A RVIA/RVDA Master Certified RV Technician – with lots of experience – who will come to you – for repairs. A win-win solution. Great repair technician. Knows the business well and is very fair as well as mobile. We ate planning a trip to Wyoming in the very near future. Glad to know your there. Feel free to contact us if your RV is “acting up” in any way when you’re in the Casper region!